Moving a personal vehicle can be stressful, and moving a commercial vehicle is an even more involved task. When your business depends on commercial vehicles, you want everything to be done perfectly when it comes to shipping them. You need to find an auto shipper that provides reliable commercial transport services and can work around your schedule. Before booking with an auto transport company, make sure it is trustworthy by checking their ratings and customer reviews. There are many car transporters offering their services, but not all of them can provide a high level of quality, and that is why research is essential. We will be happy to be your business partner and help you with Philadelphia commercial transport services. Our company can ship any kind of commercial vehicle across the country, from cargo vans to large-sized trucks. We can help you with corporate relocation or any other situation when you need to move a commercial vehicle – or your whole fleet! Our team will deliver your vehicles door-to-door without any hassle for you, fitting the delivery into your busy schedule. 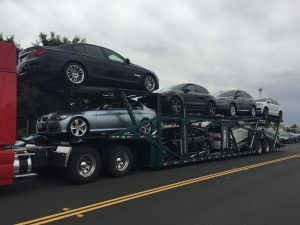 Ship your trailer, van, truck or any other vehicle with Philadelphia Car Transport and get a special discount! One of our goals is to make auto shipping affordable for everyone and provide the best prices in the industry. That’s why if you get a better quote from another auto shipper, just let us know and we will beat it. Get state of the art commercial auto transport and save money on it! You can get free quotes online on our website or give us a call at our office. Our friendly agents will be happy to assist you with all your questions and provide you with a free estimate.